Teaforthree, the 2012 Cheltenham Festival winner, has been retired. The 11-year-old's finest hour came in the 2012 Diamond Jubilee National Hunt Chase when he pulled two lengths clear under JT McNamara. 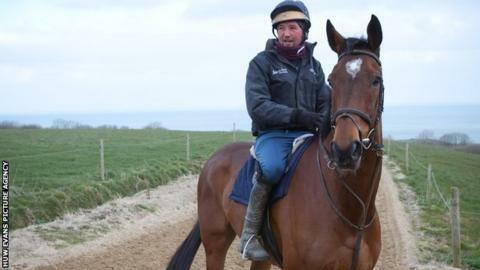 Teaforthree, trained by Rebecca Curtis in Wales, twice competed in the Grand National at Aintree, finishing third in the 2013 renewal but falling in 2014. Time has now been called on a career which had recently taken him into the hunter chase division. Part-owner Nigel Roddis tweeted: "We retired Teaforthree this weekend. "It's been life-enhancing. Thanks to all at the yard - he's been adored."